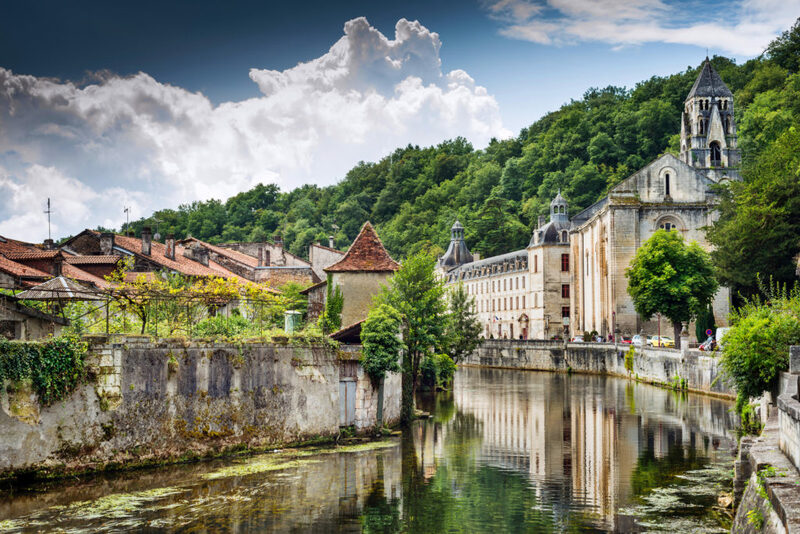 Our experts and selected estate agency partners reveal their top French property search tips, to help you ﬁnd your new home in France. Knowing where you want to buy is very important. France is a huge and varied country and it’s paramount that you do your research to decide which area you want to live or holiday in. That may mean taking a few trips to France, to experience different areas and lifestyles, before you even start looking at property. Plan your house-hunting trip out of season. You’ll get more attention from estate agents in spring, autumn and winter. In the summer, the market is flooded with those who combine a French holiday with property viewings. Off season you’ll also see your future home when the sun isn’t shining and be able to gauge what the area’s like during the quiet months. Property bargains are also more readily found during the colder months! Have clear objectives about the type of property you want and the price you’re willing to pay. Be sure to clearly explain your needs to estate agents, to prevent wasting your time and theirs. Set a property budget and be clear about whether it’s ‘all in’ (i.e. including the fees you’ll have to pay to the estate agent and the notaire) or not. Don’t get caught out by chancers – always ask to see the Carte Professionnelle of the estate agent or property finder you’re using. Although they’re (thankfully) few and far between, unlicensed agents do exist in France. Choose your property type wisely. Look for something that has unique features but is manageable. Buying a barn in need of renovation may be cheap but it takes a large amount of money and time to transform into a dream home. Although you shouldn’t be put off renovating a property, be careful that you don’t overspend; which will make it impossible to resell at a realistic price. In addition, land is very affordable in some parts of France but that doesn’t mean you should buy a whole hectare, which would require regular maintenance – and unless you’re willing to do it yourself, paying someone could prove pricey. Consider using a property professional. Even if you’re fluent in French, you may not be familiar with some aspects of French law, the buying process or the local area; and it may not be possible to go to France each time a property becomes available. Professional agents can be particularly helpful when making a property-hunting trip and will save you time and money by being ‘on the ground’ and setting up all the viewings; which hugely increases the chances of finding that dream home the first time around. In addition, a good property professional will also help you through the buying process itself. Be aware of French property pricing. Make sure that you’ve seen a good cross section of the market for the type of property you’re interested in, as you’ll find it easier to judge what’s a fair price and identify a good property relative to your budget. Properties are notoriously difficult to value in France and that’s why different agents can market the same one at different prices. Also, be aware of estate agents’ individual policies. For example, the owner might want €250,000 for his house – Agent A charges 5% of the sale price and will market it for €262,500, while Agent B charges 10% and advertises the property at €275,000. Don’t let language be a barrier. Although some French estate agents may not speak English as well as others, don’t let that put you off viewing their properties, as they may just have ‘the one’. 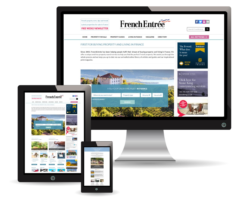 Conversely, there are an increasing number of English-speaking estate agents in France, who are ready to assist overseas buyers through the whole buying process, from finding a property to engaging local artisans for renovation work. Don’t waste estate agents’ time if you aren’t in a position to buy. Be honest with them and they’ll be more than happy to show you a few houses or let you know the market situation in their area. Don’t rush into buying – the most important thing to remember is that it’s a large investment and making the wrong decision can be costly. Take your time and be sure that the property you’ve seen really is the one that suits you best, in as many ways as you can conceive. Ask yourself honest questions: Do you really want to be miles from the shops? Are you totally comfortable having no neighbours within easy reach? If the house is to be left unoccupied for long periods of time, does having a neighbour to keep an eye out for you outweigh the need for tranquillity? Remember, your priorities may change over time and moving quickly in France isn’t always possible. If you’re buying property in France, maximise your spending power by familiarising yourself with the different contracts offered by currency exchange brokers, such as moneycorp. Whether you’re transferring money now or in a couple of years, the type of contract you put in place could mean a difference of thousands of pounds. From one-off currency transfers and ‘forward purchases’ to making regular monthly payments, there are many different types of contract to suit your needs, and help you get ahead in the currency exchange game. Don’t get into debt to buy a French property or even expect to be able to let it out. Even in a popular tourist area, you may not be able to let your property for more than four to six weeks during high season. Buy a property you can comfortably afford without needing to take on a massive mortgage or rely on letting it out. Many British buyers in France have had to sell their French home because they bought something that they couldn’t afford but thought that they’d be able to rent it out to make up the shortfall. If you’re planning to complete your purchase using a French mortgage it’s a good idea to get ‘pre-approval’ from your lender. This ensures that you have the funds in place and serves as proof of your good standing and intentions to the vendor, which gives you a strong hand when negotiating. 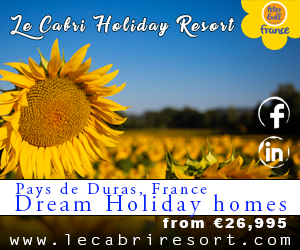 It also provides you with additional peace of mind and enables you to complete the property purchase quickly, to enjoy the glory of France sooner! Avoid getting ‘gazumped’. You may think that you’ve got time to sort your finances out after your offer has been accepted or that there’s no hurry to get the contacts signed. But beware: although it’s rare, gazumping can still happen. Remember that your offer isn’t official until the Compromis de Vente has been signed by both yourself and the vendor. Notaires charge between 7% and 8% of the purchase price, and personal recommendations are a great way to find a trusted and reliable one. Notaires act for the French state and if you want your own legal representative you’re entitled to use one. You’re also allowed to do a pre-purchase survey on the property in question and the number of Royal Institute of Chartered Surveyors (RICS) qualified surveyors is increasing in France. For further information or for help with your property search, please call our consultants on +44 (0)1225 463752 or email propertysales@frenchentree.com. For more advice on every aspect of planning and buying your property in France, see our useful property guides.